Bath Golf Club is an 18-hole private members’ club situated on Hampton Down above the beautiful UNESCO city of Bath. It is one of England’s oldest and finest downland courses, and is considered by many the premier golf club in Bath and North East Somerset. Established in 1880 it is a thought-provoking course. The 18 hole, 6464 yard, par 72 course may not be the length that today’s course designers favour, but in the 1880s they knew how to create a challenge using the natural contours of a hilltop location. The course is full of variety and is laid out over fine golfing country. Springy downland turf over shallow soil and limestone ensures rapid draining and the course is usually in superb condition. 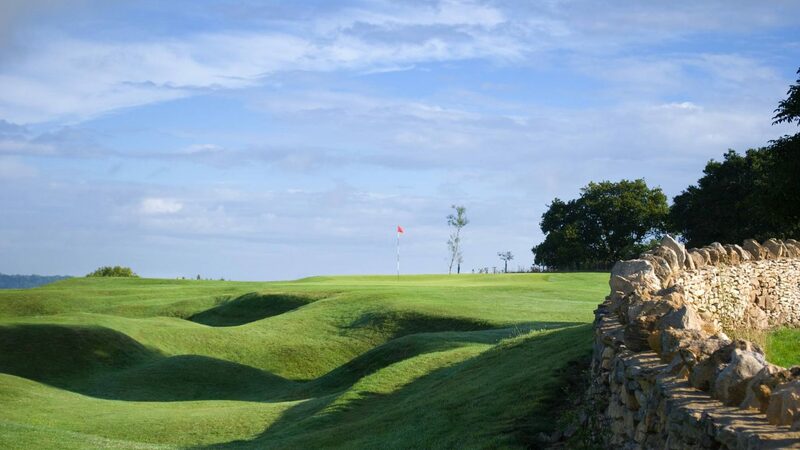 Situated on Hampton Down, the course provides spectacular views, looking through Sham Castle while practicing on the driving range, Bathampton Down from the 3rd, 4th and 5th holes and the Mendips to the southwest can be enjoyed from the 8th fairway. The course provides a stern but fair test to the visiting golfer, rewarding the straight hitter, while any green achieved in regulation will feel like an achievement. To those who play throughout the year it never stales. Bath Golf Club is ideally situated just a mile from the centre of the City. As you leave the city on the A36 towards Warminster, North Road rises to the right. Climb the hill and after about 600 yards the driveway to the golf club is on your left. For more details see our website or contact the office. The nearest mainline railway station is Bath Spa. Facilities include a club house, restaurant and bar; pro shop with club hire, trolley hire and buggy hire.